Well, Emiko was just a bit surprised; she hadn't known other lieutenants had bankai. "Been hiding something from me, Hisashi? I didn't know you were capable of bankai," she said to the man, before watching as the being that he had conjured up jumped in front of the attack. Just in case the attack did break through, Emiko made preparations. "Enkosen." she stated, and with that, the familiar shield appeared behind the giant being. If the cero did get through, it would, at the least, be weakened enough for her Enkosen to stop it. "Any ideas on how to take this guy out? We can't just rush up to him, as much as we would like to..."
Lightning watched as a lieutenant used bankai to save both himself and his fellow lieutenant from a cero of great power. This was indeed interesting, a lieutenant with a bankai...very interesting indeed. Lightning watched as the two lieutenants seemed oblivious to the shadow clones appearing out of their very own shadows. Lightning judged that if these shadows were anything the man that summoned them they were not vunerable to physical attacks. Lightning began an incantation for hado 31, Shakkaho. "Ye lord! Mask of blood and flesh, all creation, flutter of wings, ye who bears the name of Man! Inferno and pandemonium, the sea barrier surges, march on to the south!" She fired the blast towards one of the shadow clones appearing behind the female lieutenant. and after repeating the incantation once more fired another at one behind the male lieutenant. Sure they still had a shadow clone behind each of them but hopefully Lightning's attack would inform them of the danger behind them. Lightning remained where she stood, she had intervened but she was not going to leap in just yet, soon but not just yet. They could still turn the battle around. Solomon cocked his head to teh side in annoyance as his Gran rey was blocked. Even so his annoyance was greater when the women attacked his clones. Who managed to dodge the attacks, coming back to Solomon, but his sneak attack was lost. He howled as he summoned up forty shadow clones in total, they rushed at the the duo. Each one firing off a barage of Bala's at them, not overly powerful but enough to do quite some damage and there was alot of them. Solomon himself turned to look at the newcomer. He finally payed enough attention to notice her there. He charged up a cero and fired it off at her. Barreling towards her like a bleeding ball of darkness. Then he summoned up a group of ten foot spikes from her shadow, each one shooting out at bullet speeds. Hisashi turned around see a shadow behind ready to attack, but was suddenly destroyed by what looked a kido. He looked up smiled at the lieutenant that saved him, and gave her a informal salute, thanking her. Hisashi smirked as he saw the clones appeared and start to charge up. 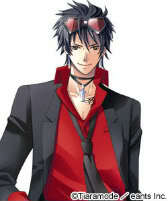 He then looked at Emiko with a serious look on his face. "We need to hurry this up, I can only use my Bankai about 4 times repeatedly, and each time my time limit goes down." Hisashi noticed his clones started to charge charge something stood his ground. "Kouken: Barrier, Level 4" Suddenly the giant stepped between him and Emiko and made a huge barrier, blocking the whole barrage of balas. Hisashi could feel the force behind the attacks, as his giant was connected to him by spirit. He then saw the arrancar shoot a cero towards the lieutenant who helped him before. "Damn it, I can't help her right now." Well, this was rather surprising; a powerful person had just shown their face. Emiko didn't exactly recognize her, but considering the only new addition that was fairly powerful was the sixth division lieutenant, Emiko supposed this had to be her. Considering she wasn't even in shikai and had blocked the shadow clones, Emiko had to say that she was probably stronger than your average lieutenant. "Hiashi, I think that she can take care of herself...she did manage to wipe out all of that arrancar's shadow clones, or nearly most of them," she commented to the male, her fist slamming into the shadow clones that the other lieutenant hadn't taken care of. Since she was in bankai, she was completely encased in what was essentially her sword, which meant her fists were incredibly sharp at the moment. After she spoke to Hiashi, she disappeared, using shunpo to quickly travel behind the shadow clones while they were assaulting Hisashi's defense. She soon reached into the fullest depths of kido that she knew, and began an incantation. "Sprinkled on the bones of the beast! Sharp tower, red crystal, steel ring. Move and become the wind, stop and become the calm. The sound of warring spears fills the empty castle!" A second later, a large wave of yellow energy rushed out of the palm she had facing the crowd of shadow clones. It rushed towards the creatures and, a moment later, a fair lot of them had been utterly obliterated by the powerful hado. Most of the clones continued to barrage the pair with Bala's as they dodged all incoming attacks as Simply as Solomon would. The punch to one, phasing right through doing no real damage. It would attack her from behind with its shadowy version of Solomons sword. Attempting to decapitate her. The Powerful Energy blast was only survived by about six clones. Leaving 27 of them, 20 to continously attack with bala's, the rest focused on Physically attacking with weapons. Lightning sighed as she saw the cero hurtling towards her, well looks like she was involved in this battle now whether she wanted it or not. Luckily for Lightning her shadow was in her view due to the direction of the suns light and she was lucky enough to catch a glimpse of movement in it before the spikes unleashed. She did not know what attack was going to come from the shadow but she had seen this man summon clones from them and that was reason enough to act the way she did...teleport. Lightning used her special ability to teleport disappearing in a swirl of cherry blossoms as she did so. These cherry blossom petals would normally have hurtled towards Solomon attacking him however they were destroyed before they could do so by the spikes that launched at where lightning was standing. When teleporting Lightning's reiatsu was completely masked therefore her whereabouts was unknown and her appearance would be unpredictable and sudden. Lightning looked towards the barrage of bala's being fired, not really at her she had only just reappeared. She just happened to be in the firing zone now. Luckily for her the bala's were being aimed at the other two lieutenants mostly so she only had to deal with the occasional one to dodge as she recited the incantation for a kido. "Black and white net. Twenty-two bridges, sixty-six crowns and belts. Footprints, distant thunder, sharp peak, engulfing land, hidden in the night, sea of clouds, blue line. Form a circle and fly though the heavens." A large hexagonal shield would now block any bala's heading her way and almost any other attack that was aimed in her direction. She looked up at the large figure before her (solomon) "I suggest you go home now before we send you home with your tail between your legs"
Description: This spell creates a powerful proximity-activation barrier which can be placed upon any part of the body. It activates when an attack reaches the point where it is cast. When the attack hits the barrier, a hexagonal shape appears which can stand up to extremely powerful attacks. 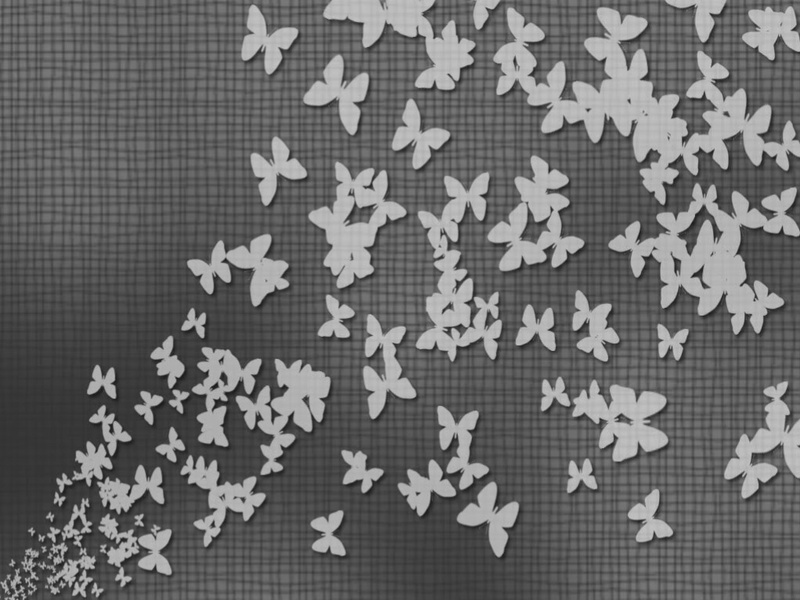 Incantation:"Black and white net. Twenty-two bridges, sixty-six crowns and belts. Footprints, distant thunder, sharp peak, engulfing land, hidden in the night, sea of clouds, blue line. Form a circle and fly though the heavens."